Garen Maskal honed his skills at Ezard in Flinders Lane, Melbourne, before opening his own restaurant, Black Toro, in 2012. Garen’s creative use of quinoa in this recipe adds a delightful crunch that works so well with the creamy Manchego custard and tart beetroots, while the hints of orange and fennel combine with the sweetness of beetroot jelly to further enhance the overall flavour. Preheat a water bath to 83⁰C/181.4⁰F. In a bowl, combine the hot tap water, rice wine vinegar, sugar and salt. Stir until the sugar and salt have dissolved, then allow to cool. 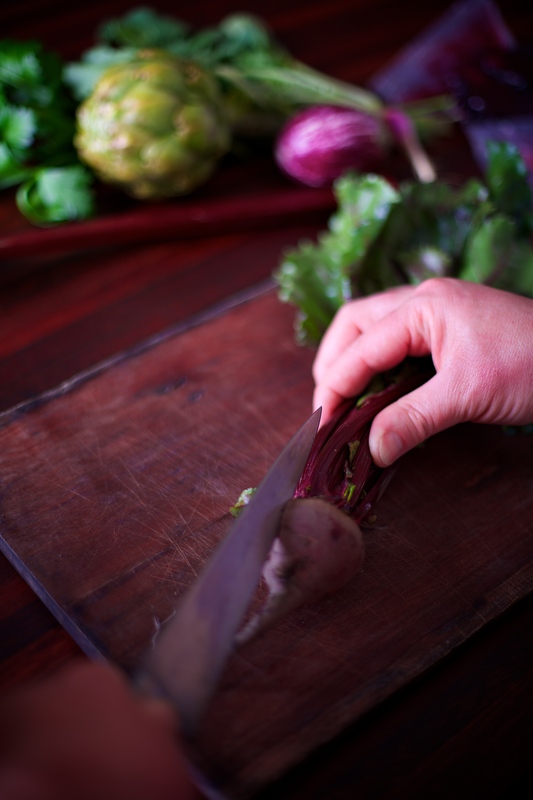 Trim the ends of the baby beetroots, leaving a little stem attached, then scrape around the ends with a small knife and wash the beets thoroughly. Do the same for the large red beetroot. 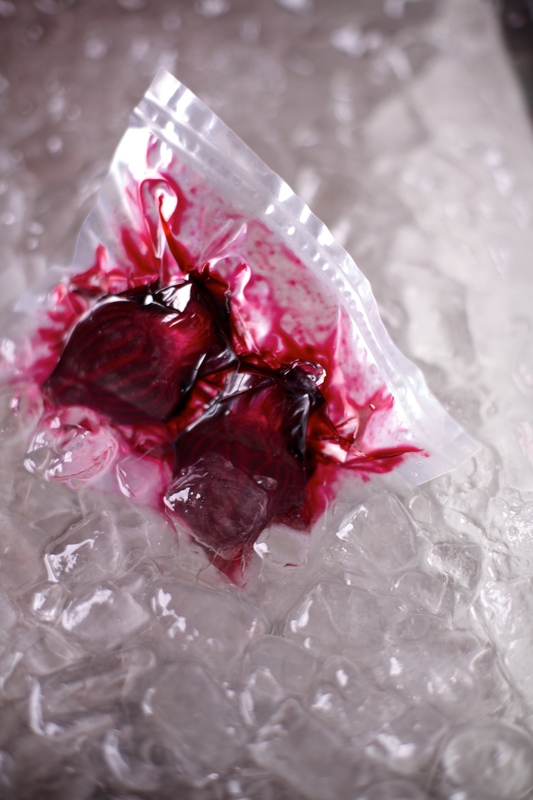 Place the red baby beets into a vacuum pouch with the large red beetroot and place the golden baby beets into a separate pouch. Add 100ml of pickling liquid to each pouch, and seal on high. Cook for 2 hours in the preheated water bath. Allow the beetroots to cool for 10 minutes, then remove from the vacuum pouches, keeping the colours separate. 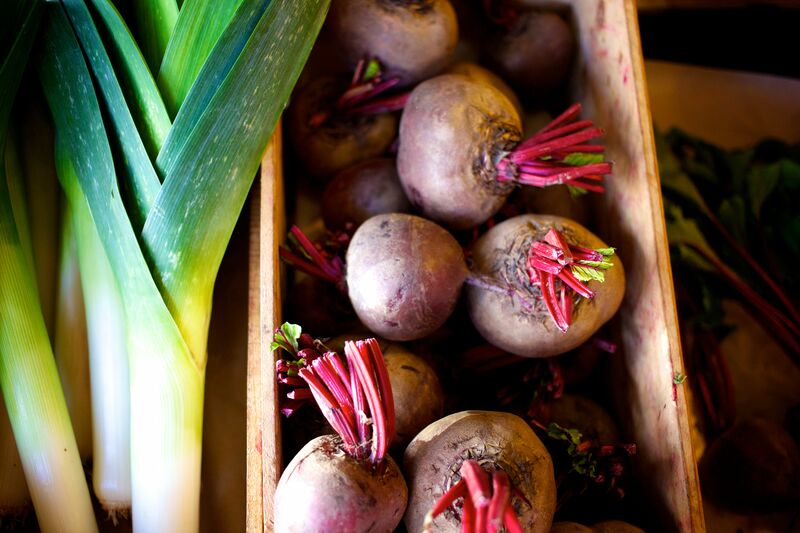 Use paper towel or a cloth to remove the skins and cut the baby beets into halves or quarters, depending on the size. Dice the large red beetroot. Set aside in 3 separate bowls.